About 25 years ago I worked with a toxic individual. She bullied and knocked down those without power and kissed up to those with power. After this individual ruined many work lives (including my own), she was fired. I thought this ordeal was over until a strange thing happened to me 10 years later. I was in an elevator and smelled a special perfume and got sick to my stomach. Within a nanosecond of feeling ill, I had this strange thought bubble in which I recalled that this was the perfume the toxic person wore! Based on this incident, I wondered if others might have had similar experiences with toxic behaviors. This is the reason I decided to research the topic of toxic personalities: to help all those good people in organizations that are ravaged by toxic behaviors, and don’t know what to do about it. . Until now! In the three-year national research study I conducted with my colleague, Dr. Elizabeth Holloway, we discovered that a whopping 62% of over 400 individuals reported working with a toxic individual within the past five years; 94% in their entire careers. And the largest industry represented in our study was healthcare with a huge 39% of our sample! However, it is significant to note that healthcare has done more than any other industry in identifying the importance of understanding the impact of toxic behaviors on patient safety and the patient experience. Consider the tremendous work The Joint Commission has done in identifying how “disruptive and intimidating behaviors” negatively impact patient safety. Individuals who shame either one-on-one or in public use humiliation, sarcasm, pot shots, and mistake-pointing as their modus operandi. When sarcasm is used primarily to harm and not as a form of humor, you have a toxic individual on your hands. For those passively hostile, we discovered these individuals are extremely territorial, have difficulty accepting feedback, and are clueless about the impact of their behavior on others. While they may know they demonstrate these behaviors, they often don’t understand the devastation they cause. And in terms of team sabotage, they meddle in teamwork and, if they have the power to do so, they use authority to punish team members. What’s the impact of toxic people? 71% of healthcare professionals associated toxic behaviors with patient errors; 75% said these medical errors could have been prevented. 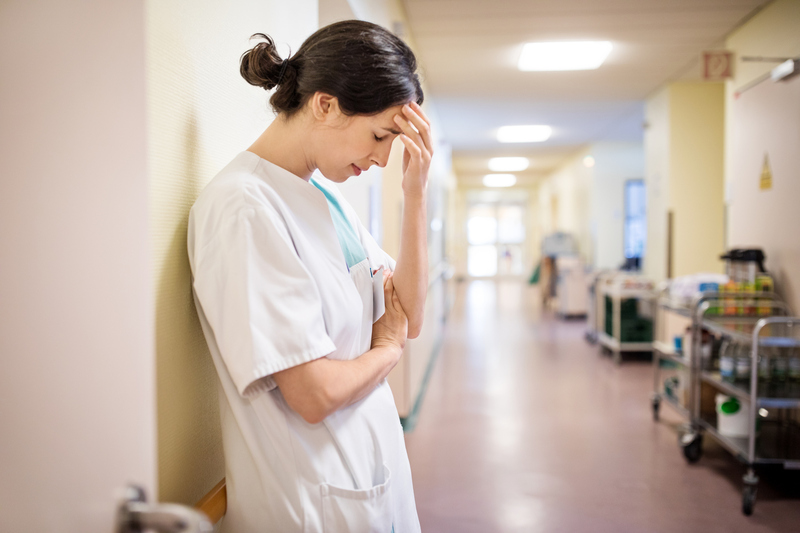 51% of individuals in the general population are likely to quit as a result of working with a toxic person; 30.7% of 1,121 nurses reported that they new someone who did quit; 24% further said the disruptive behaviors led to nurses revising schedules, shifting shifts, and changing departments to avoid contact with a toxic provider! 49% of nurses reported that intimidation from a provider resulted in misadministration of a medication. 98% of nurses witnessed these problem behaviors. 65% abuse from nurse-to-nurse; 77% abuse from physician-to-nurse. Recently during one of my presentations, a gentleman raised his hand and said, “Mitch, my wife is a nurse and just last night she reported to me that she did not agree with the medication order. Rather than go to the intimidating physician whom she thought would bite her head off, she went to two or three other professionals to interpret the order.” Now you can see how medication errors can occur. But it gets worse. Another individual raised her hand and said to me (and please note in front of 500 people at this keynote address), “Mitch, I’m a surgeon. I understand why these intimidating behaviors occur. Would you want to go to a surgeon who doesn’t set up standards of perfection?” I responded, “Doctor, I want to go to a surgeon and if she or he is about to make a mistake, someone feels comfortable enough to call the surgeon on this.” There was utter silence in the room, including from the surgeon! Don’t go it alone. A startling 90% of individuals attempt to give feedback to the person one-on-one even though many other individuals are in the same boat. It’s more powerful to provide feedback to the toxic individual with others who are experiencing this. While the toxic person may react that you are “ganging up” on her / him, don’t worry. You’ll be in good stead here as there is power in numbers. Further, when individuals go it alone, they tend to “soft-peddle” the feedback. Trust me on this that a group of three nurses isn’t likely going to get fired for trying to course-correct a toxic person. And there is a much higher probability the behavior will change when you approach the toxic individual with others experiencing similar problems. Use data whenever possible. Instead of talking about how this toxic person makes you feel, provide hard data. For example, express how you may seek others out when you disagree with the provider’s opinion for fear of being shamed or ridiculed. Another example is to report how this behavior can likely lead to medical errors. Use some of the medical error statistics I just shared with you in this article. Find an ally with power. Seek a colleague who has the positive ear of the toxic person and use him or her to provide feedback to the toxic individual. Further, ask this ally if s/he can pave the way for you and others to have a time to talk with the toxic individual. Also ask the ally if s/he would be willing to be present at this meeting. Review with a trusted individual the pros and cons of providing feedback. Remain in your position and give feedback. Remain in your position and do not give feedback. Take a day or so to think more about your plan. Whatever you decide, find ways to heal and move on. You have more power than you think. Take a “baby step” and try just one of these four strategies. You’ll be on the road to a healthier workplace that models “everyday civility” in action and improves the patient experience. And you will come to work with less drama! Oh, by the way, it’s happened three times that I got sick to my stomach smelling the perfume that this toxic person wore. But the good news is that it gets less intense every time. I think I’m healing and you can too! Dr. Mitchell Kusy is the newest member of the Healthy Workforce Institute. He brings a plethora of expertise as a Professor, Corporate Psychologist, and a Culture Change Consultant. Are you and your organization are on the right path toward a healthy workforce? Click here to find out.